Discussing all things Middlesbrough and Hartlepool United, as well as other local teams and sports. 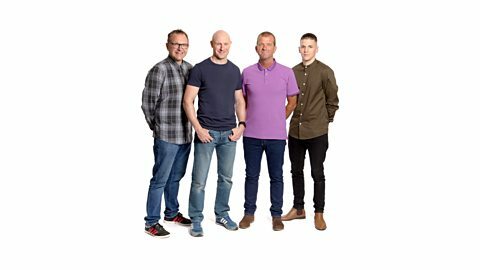 BBC Tees Sport is on air weekdays 6pm-7pm and Saturdays 2pm-6pm. We have commentary on every Middlesbrough and Hartlepool United match as well as comprehensive coverage of Durham and Yorkshire and the latest on the Redcar Bears. You can call with your views on 08000 85 95 95, text 81333 (start your message with TEES) or e-mail tees.sport@bbc.co.uk. We're also on Twitter @bbcteessport. We want to hear your sports stories - e-mail us at tees.sport@bbc.co.uk or leave us a message on 01642-340669. BBC Tees is the only station with full-match commentary on Middlesbrough FC. When Boro are the only team playing we broadcast the game on 95FM and DAB digital but when Pools are playing the Boro match is on 95FM. Mark Drury, Neil Maddison and Rob Law are your commentary team for Boro games. We have full-match commentary on every Hartlepool United match on DAB digital radio and the BBC Football website. Our coverage of Pools and non-league football can be heard every Saturday between 2.55pm-5.00pm. Unfortunately we are unable to broadcast Boro commentary online for contractual reasons.